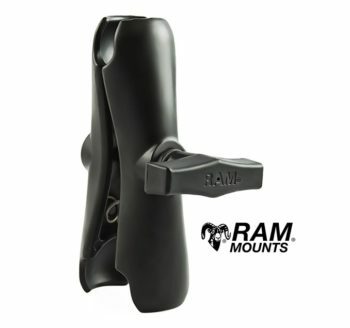 RAM Mounts are Made in USA and come with Lifetime Warranty. 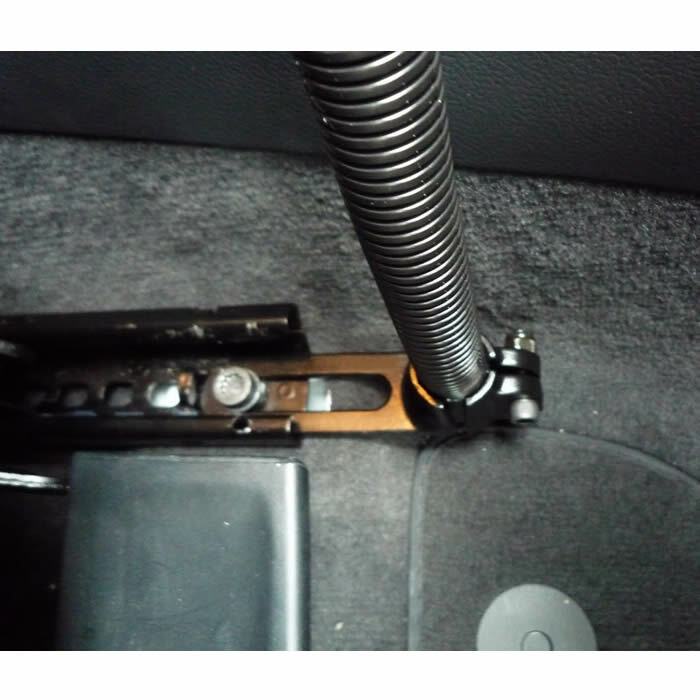 This versatile seat/floor mounting option is ideal for mounting your iPad or any other tablet securely without drilling any holes or blocking your view on the windscreen. 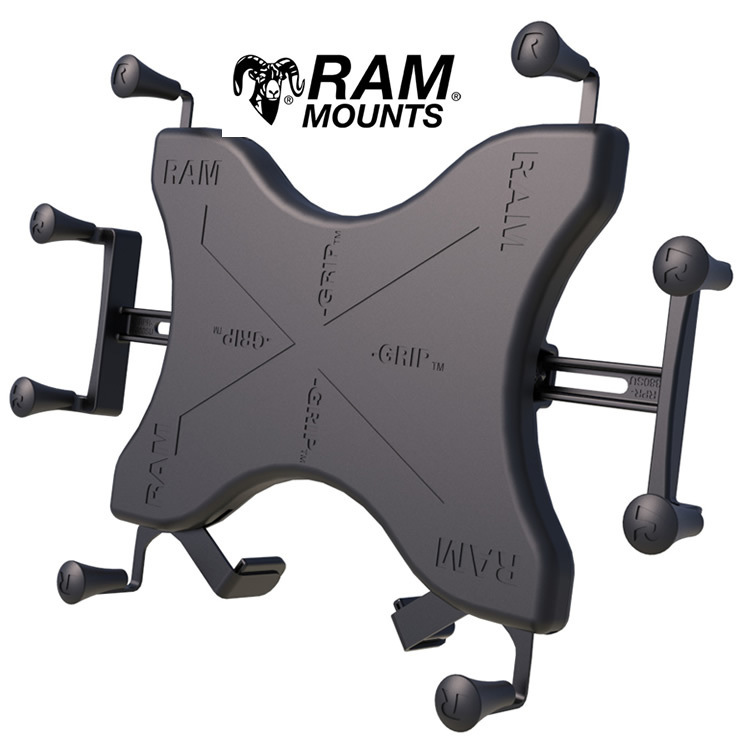 The No Drill RAM-B-316 consists of the RAM POD I universal No-Drill™ vehicle base, 18” rigid aluminum rod, socket system. 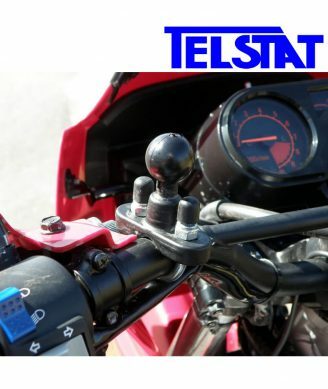 The base of the mount connects to your seat rail without any drilling necessary. 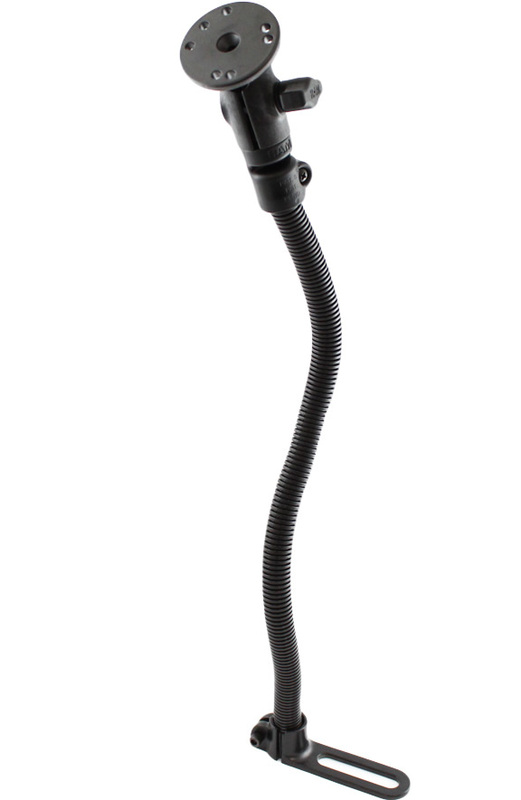 The 18″ rigid aluminum rod can be bent to position your device to its optimum viewing location. Please check UN11U cradle dimensions below before making selection to ensure it is the right fit for your device. 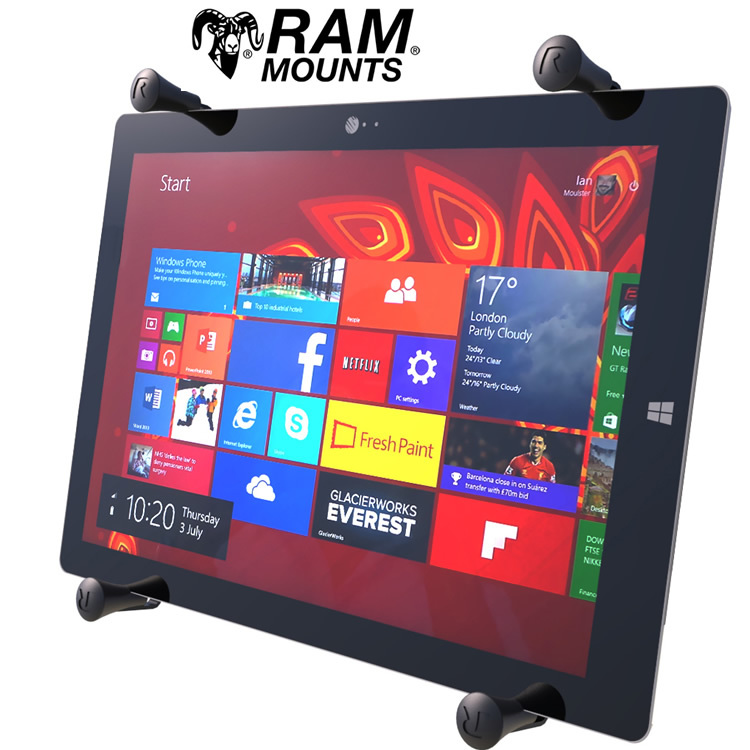 The RAM-HOL-UN11U is just what you’ve been looking for to hold your favorite tablet. 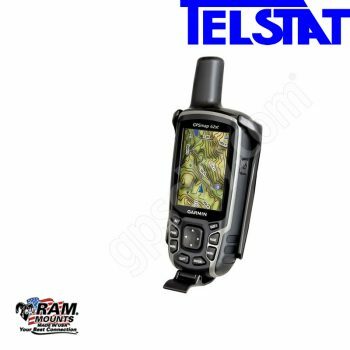 Just like the devices it was made for, it is everything you need and nothing you don’t. 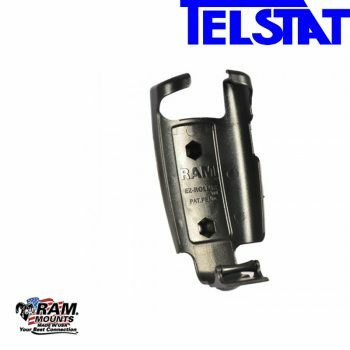 This cradle by RAM® consists of a composite spring loaded cradle, expandable grip arms and additional bottom support keeper. 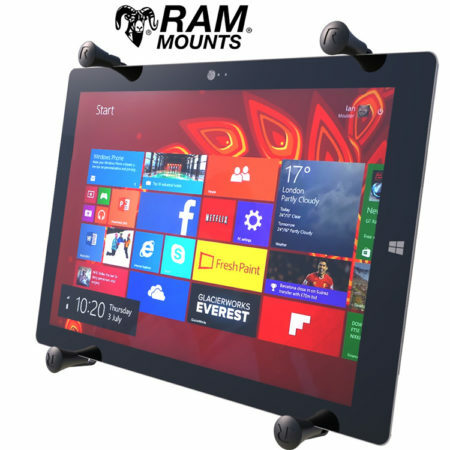 Simple to open and close, the spring loaded RAM X-Grip® leaves the outside edge of your tablet almost completely free of annoying obstructions. 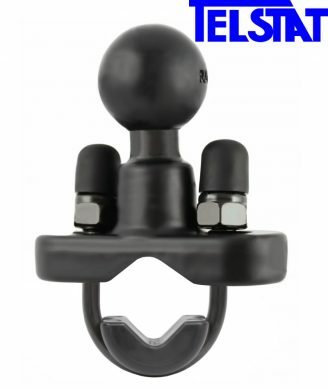 Soft rubber fingers apply just enough force to keep your tablet in safe and secure. 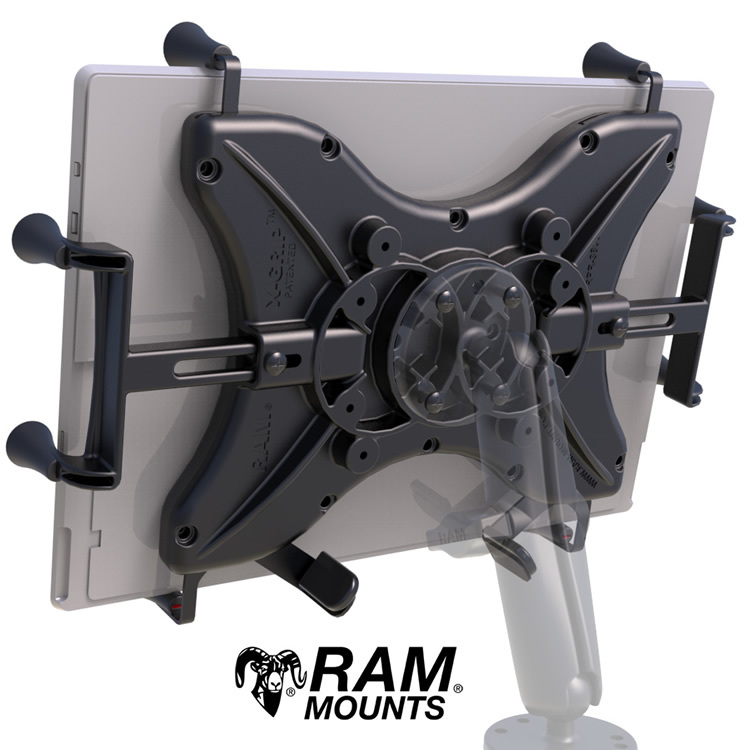 Compatible with a wide range of mounting solutions, your tablet is sure to find a home no matter where your travels take you. 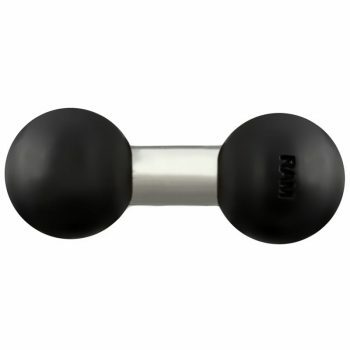 Maximum Length (WITH additional supports) = 10.25? 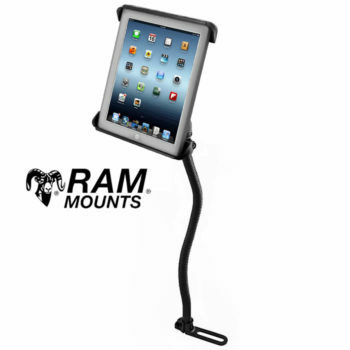 Depth = 0.875″The RAM-HOL-UN11U is compatible with the iPad Pro WITHOUT CASE ONLY. 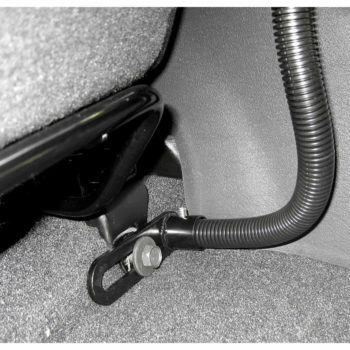 FITMENT: Make sure your vehicle has an appropriate bolt to mount the base securely.